Wireshark allows the user to put network interface controllers that support promiscuous mode into that mode, in order to see all traffic visible on that interface, not just traffic addressed to one of the interface’s configured addresses and broadcast/multicast traffic. 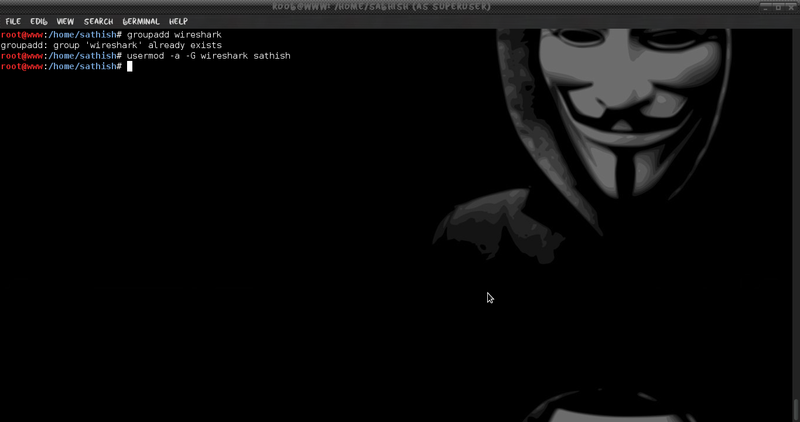 In Kali Linux or any other Linux distribution after installing wireshark it will not detect ethernet interface and its need root privileges to control ethernet interfaces and many network engineers become dismayed the first time they run Wireshark on a Linux machine and find that they don’t have access to any network interfaces. This is because, by default, raw access to network interfaces (e.g. 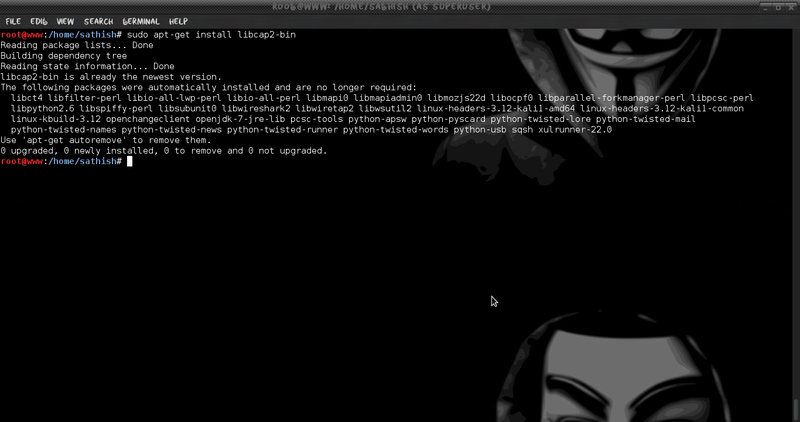 eth0) requires root privileges. Unfortunately, this often prompts people to simply run Wireshark as root a bad idea. Those who using wireshark for the first time with non root user. they will get an following error. Due to the complexity and sheer number of its many protocol dissectors, Wireshark is inherently vulnerable to malformed traffic (accidental or otherwise), which may result in denial of service conditions or possibly arbitrary code execution. The lead developer of Wireshark, Gerald Combs, points out some that Linux distributions are beginning to implement Linux filesystem capabilities for raw network access. 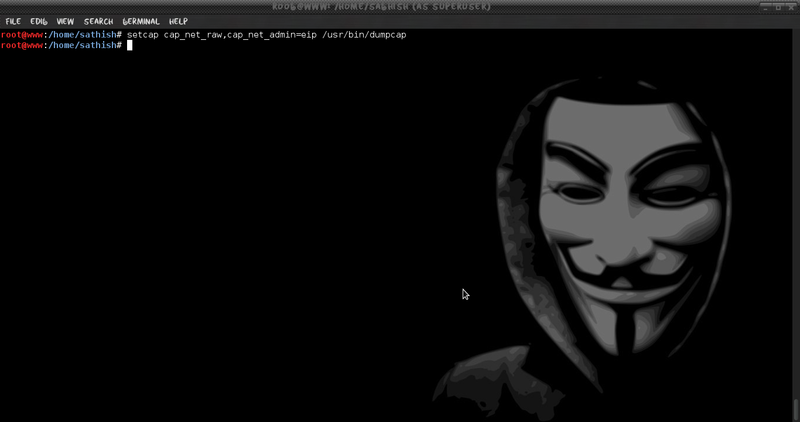 In this article, we’ll walk through putting this idea into practice on an Kali Linux machine. CAP_NET_ADMIN – Allow various network-related operations (e.g., setting privileged socket options, enabling multicasting, interface configuration, modifying routing tables). CAP_NET_RAW – Permit use of RAW and PACKET sockets. CAP_NET_ADMIN -allows us to set an interface to promiscuous mode, and CAP_NET_RAW permits raw access to an interface for capturing directly off the wire. These capabilities are assigned using the setcap utility. First, we’ll need to install the setcap executable if it hasn’t been already. We’ll use this to set granular capabilities on Wireshark’s dumpcap executable. setcap is part of the libcap2-bin package. Since the application we’ll be granting heightened capabilities can by default be executed by all users, you may wish to add a designated group for the Wireshark family of utilities (and similar applications) and restrict their execution to users within that group. However, this step isn’t strictly necessary. We assign the dumpcap executable to this group instead of Wireshark itself, as dumpcap is responsible for all the low-level capture work. Changing its mode to 750 ensures only users belonging to its group can execute the file. In case you’re wondering, that =eip bit after the capabilities list grants them in the effective, inheritable, and permitted bitmaps, respectively. 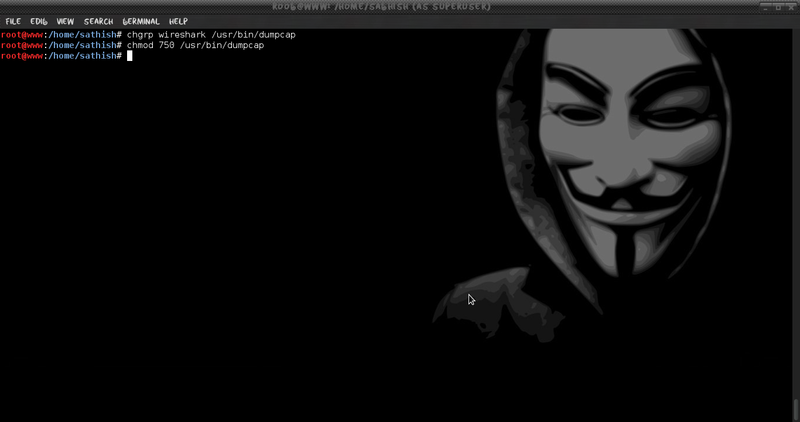 Now, as the user who we added to the wireshark group and execute Wireshark. You should now see the full list of available adapters and can begin sniffing. Thanks 4 That! Works PERFECT! 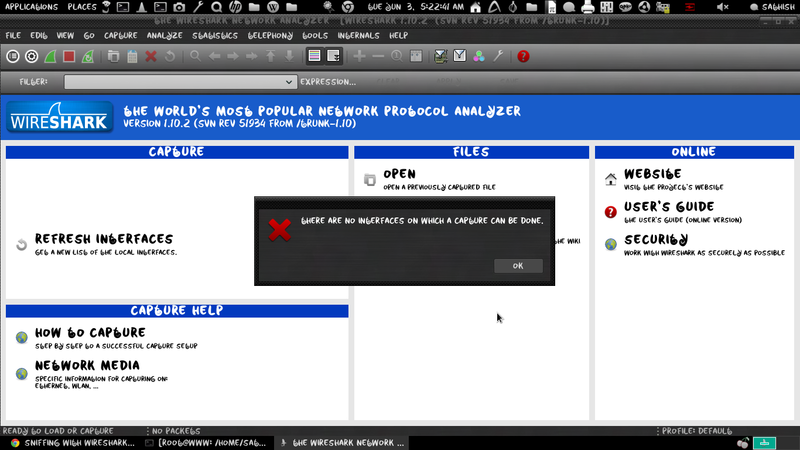 [string “/usr/share/wireshark/init.lua”]:46: dofile has been disabled due to running Wireshark as superuser. 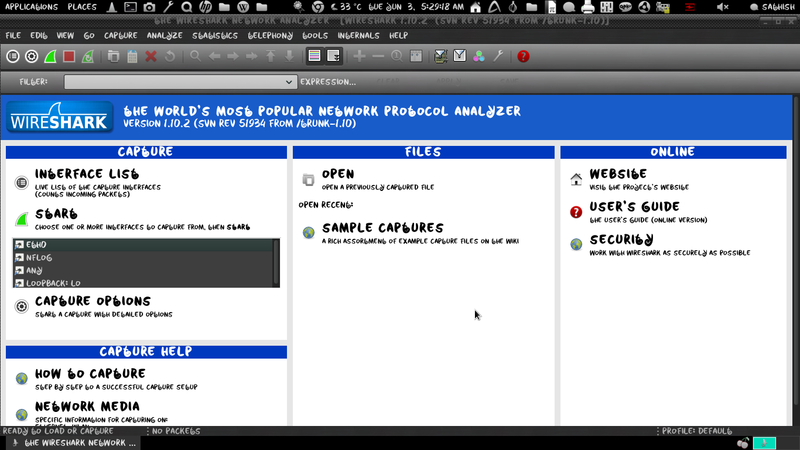 Hi, i would like to re-set wireshark for superuser, but i have some problems with the capabilities.. I need to restore a default value or anything else? 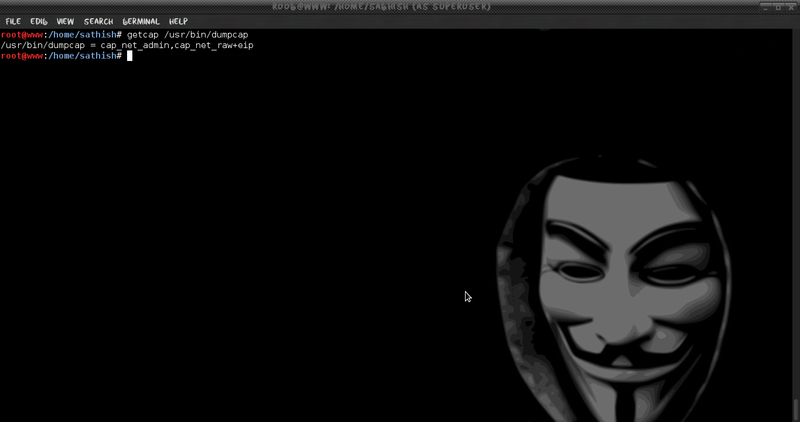 « Create and Add a Payload in Existing Executable.